I’ve already posted on the first issue of Morrison’s first arc writing the actual Batman series. That arc, “Batman and Son,” retconned Damian Wayne, who prior to that had appeared only in an elseworlds-type non-canon story, as Batman’s son in the “real” Batman canon. 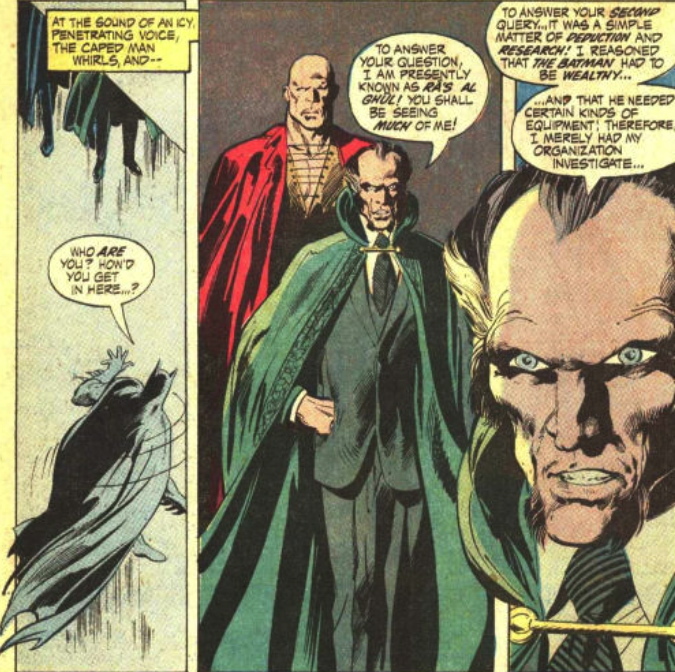 Ra’s comes to Batman for help rescuing his kidnapped daughter. 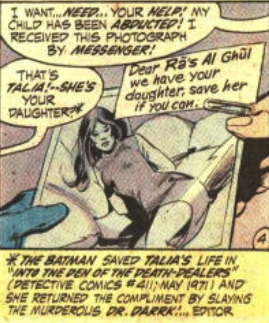 Ironically, we met Talia before we ever met R’as: Batman saved her in an old issue of Detective Comics. This comic is wild, weird, and well-written enough to be a Grant Morrison tale. No wonder he used so much of it in his own work. 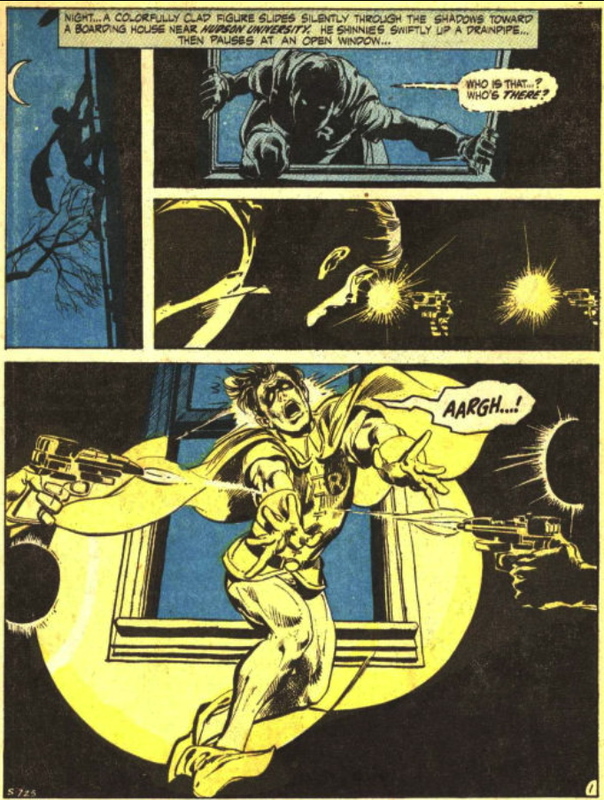 Also, it mirrors the beginning of Batman & Son, which starts with Batman’s “death” and Joker being shot. 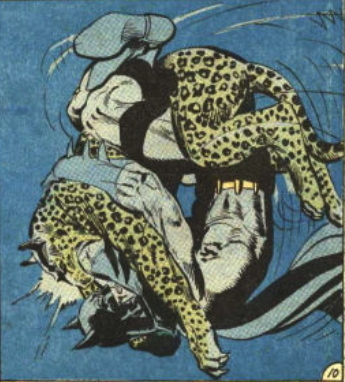 And Batman proves he’s a badass by wrestling a leopard. Next, in Batman #244, Talia and Bats are reunited, and Talia rapes Batman. Batman has been poisoned, and Talia sneaks him an antidote as she kisses him, batman rises, and defeats the bad guy. This is the night Talia became pregnant, and she drugged Batman to get him. 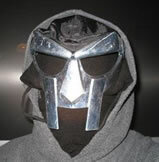 That’s how I read it, anyway, and that’s how Grant Morrison will retcon it.  As you’ll see in the next post. I hope you’re enjoying this series!